This article was originally posted August 2, 2018. Crossfit gets a bad rap. Sure, some approach it as a pain-inducing workout meant to strip you down until you have nothing left to give. But to others it's simply a great way of keeping a balanced body and mind. 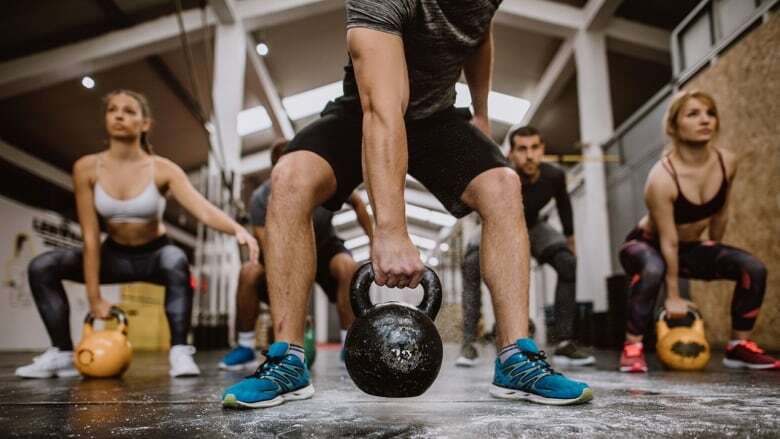 In fact, I think there are three types of Crossfitters: the professional, do-this-as-a-job type Crossfitter who takes part in the multi-day extravaganza know as The Crossfit Games, the take-this-super-seriously everyday type Crossfitter, and the ones who do it to just get an amazing workout in just under an hour. I fall into the latter. I've been doing Crossfit for about a year and I am still alive to tell the tale, so it can't be that bad! There are a ton of misconceptions when it comes to this workout craze, and I hope to help demystify some of them if you're interested in getting started. Yes, it can hurt. It doesn't have to because you can determine the amount of effort and strain to put into any given workout. The goal of Crossfit is not to set you up for failure. It's to set you up to get better everyday. So if you're just starting out, take it slow. Just because someone beside you is lifting 135 pounds, it doesn't mean you need to. The biggest pain point for most can be the rig: a giant labyrinth of crossbars reminiscent of a structure from your elementary school gym class. This is the spot you're going to do your pull up variations and it can wreak havoc on your hands especially if the bar has been well-used. Calluses are a common occurrence in the box (the Crossfit name for gym). This can easily be remedied by purchasing special gloves or hand grips, but forcing yourself to endure the pain can help your hands build up a tolerance. Commiserating over this is also great for watercooler talk. Some think of Crossfit as a sport for the bros. The meat heads. The jocks. But my friend, it truly isn't. There is no "type" of Crossfitter. I've seen teenagers, pregnant women, short, tall, big, small. The Crossfit community is massive and doesn't fall into one specific category. Some worry that they may not understand the classes, or any of the moves. That's where your coaches come in. They encompass a wealth of knowledge and are trained to know exactly how to do the moves for each class. Usually, they will give refreshers before every move is performed so you're taught the right technique. During this time they will also explain the different scaling options available for a particular move, so if you're just starting out or if you have some sort of injury, you can still get a killer workout without participating at the same intensity as the rest of the class. Most boxes also have foundations classes during the week that you're required to take before jumping into a class. These will give you basic mobility movements to complete so you've got a solid understanding of what's to come. Some boxes even have a Crossfit-light type of workout (mine calls it "Burn") where you're getting a similar workout to Crossfit but a bit easier, using more bodyweight type movements and lighter weights on bars and kettlebells. Check with your local gym to see if they offer this type of programming. For any workout routine that involves mostly weights, a common complaint is that the athlete doesn't want to get "bulky". I'm here to tell you that you won't get bulky unless you want to become bulky. Gaining massive muscle growth is incredibly hard unless that's what you're training for. This will involve a high protein, carb-rich diet to help facilitate this muscle growth. I've been doing this for a year and am nowhere near "bulky", much to my chagrin. If your goal is to slim down, a combination of weight training (through Crossfit or other weight training programs) and a healthy diet can help you achieve these goals. Another misconception is that speed and reps trump form when it comes to Crossfit. While these do play a factor, any coach worth their salt will correct your form when you're way off your mark. This can go out the window a bit when it comes to the WOD (Workout of the Day) but again, your coach should be able to correct your form while not interfering too much in the WOD. As with any type of workout you must listen to your body. If there is something that is causing you a great deal of pain (and not that good after-workout type of pain) you might be doing something wrong. Or maybe you have a pre-existing condition where Crossfit-type training might not be great for you, so talk to your coach. They've probably seen and heard it all, and will help guide you in the right direction.